Sometimes I wonder if or when the Unionist people and their leaders will be persuaded of the benefits for them of belonging to a reunified Ireland. When you see their antics around the Twelfth every year you begin to wonder are these people capable of changing. When you look at the contents of their daily propaganda paper The Newsletter you wonder if there will ever be an open discussion about the pros and cons of unitingIreland and transferring sovereignty from London to Dublin? When I read about the campaign by unionists in Fermanagh-Omagh council area to get rid of the newly elected Chairperson after he was set up by the local unionist paper, The Impartial Reporter, I wonder if they are capable of changing. I wonder if they are serious about building a future together with their neighbours as outlined in various legally binding Agreements. When you examine the present political and economic situation –especially since Brexit, the truth is that Unionists have everything to gain and nothing to lose from the reunification of this country. Many have already discovered the advantages-social and economic -in having free trade and free travel within Ireland and indeed, within the EU. Within a reunified country they would maintain their status as EU citizens with all the advantages of that. Within a reunified Ireland their culture could be accommodated though I doubt if they would be allowed to continue building bonfires that burn effigies of republican politicians and burning Catholic symbols. I think they need to re-consider how they celebrate the Twelfth each year so that it is no longer orchestrated by the hard men of loyalism. In a reunified Ireland, unionists will realise, perhaps for the first time, that their best friends are not those who live across the Irish sea but those who live close to them in this country – Nationalists, Republicans, Catholics, nones etc. –those who work with them and want to build a thriving economy, a first rate health service, a progressive education system and a more open and tolerant society for all. For the first time, many would discover the power they have to make laws and make their own policies with regard to health, education and the economy. I believe that when Brexit takes affect and the harmful effects are felt by both the farming industry and the manufacturing industry many unionists who previously supported it, will have second thoughts about their support for such a break with such a large market. As a consequence, they will be more open to the idea of a new political arrangement on this island and a new relationship with the London government and the EU that would make their future and their children’s future more secure economically and in every other way. The unionist community would discover how empowering it is to have real power to bring about real change and how liberating that is. Those who believe this is not only possible but inevitable must now work to make the dream come true. They could caged off in a sort of reservation where they could reenact The Twelfth for the benefit of tourists, marching and capering up and down a mocked up Garvaghy Road. Of course the set wold have to include a Catholic Church for walking in a circle, playing sectarian tunes, cursing the Pope etc. And of course a PPs house with gates for urinating on ..!!! Something similar was already proposed a long time ago by Belfast’s very own Jonathan Swift!!! 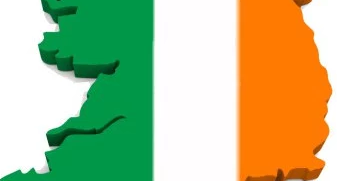 We need to start to convince, not only Unionism but Nationalism, that the reunification of this country does NOT involve the Free State absorbing the Northern State…..I don’t think even I could accept that scenario. It’s a completely new chess game with everything to play for….. we have the opportunity to mould a country to the liking and benefit of everyone….the proverbial Catholic, Protestant and Dissenter…..something virtually unheard of. Exactly. A reunification isn’t a take over of one state by the other. That needs a lot of hard thought and compromise on both sides. Would we, for instance, be better off if the capital were to be somewhere other than Dublin? That would certainly indicate that the polity is a new creation. Eolach, you are so right. I believe it has to be a clean slate..but how do we get there? Joe, a lot of hard work and the need for skilful orators. This potential scenario would irk a lot of Free Staters and would be an anathema to manyat first but they, for the sake of permanent peace and an undoubtedly more prosperous future would be readily convinced. The real opposition, as usual, would emanate from the politicians…. for decades they’ve been on an unstoppable gravy train and and will have no mercy on anyone advocating its potential derailment. Eolach i haven’t a notion what you are on about, there are people from all over the world settled and living and working very happily in the Free State. There are Gaelic football players from Africa from China from all over its great. I don’t want it to change for Protestants or Catholics from the north east i wish we had what they have. No special consideration for orange men or green men just come in sit down and start to live the life that’s there.Join a political party and try to get people to feel like you do no problem. Its great the free state is evolving and adapting all the time and the new people from all over the world are generally happy nothings ever perfect. Lets just join in if the people from the north east of Ireland don’t want what they have or you don’t like it leave them alone i say. It has all i want when i was growing up on the border many years ago the sense of freedom and fun on a Saturday Sunday night when you went over to Dundalk to dance and have a few pints and enjoy yourself was wonderful. And to this day i still get that sense of freedom as i cross the border which at the moment doesn’t really exist. When i once for a few years emigrated to Canada i didn’t expect them to change a lot of things for me, no way i adapted to their way of life and it was great, while it lasted until the big recession of the eighties and i found myself back in Singapore because i wanted to work not wait out the recession. So like the people who come from all over the world to be absorbed into the free state way of life but keeping some of their own wee ways great i say. But that doesn’t mean them getting any special allowances to march down o O’Connell street and piss all over the pavements. Or lighting bonfires all over the place to celebrate either internment or the twelfth of July. No we will just come at some stage if the majority vote here want what the free state has and join them and i’m sure we will get a hearty welcome. Stephen…. Is Éireannach mé.. an Irishman, you talk about the Free State as some sort of Tír na n-óg….In 1916 a republic was declared….. that has never came into fruition. In 1921 they abandoned us to the mercy of the sectarian mob … my grandparents and my parents could do nothing about it….a festering sore…. but by 1969 we had enough … we don’t need permission from anyone ,nor a subservient “I’m all right Jack ” attitude to advocate change……we in the “North East “comprise 1/3 of the Irish Nation and we will have our say. Your partitionist attitude indicates a shallow knowledge of our history…. a country comprises of all its people….. not only those who decide to set up protected enclaves should that be the Free State or the Unionist state without permission from the populace. Eolach I think i am one of all the people and millions of the people think like me and no i don’t live in the historical past I live with my extended family in the present. And yes it is sort of all right in the free state Jack they have overcome enormous hurdles and are progressing nicely. I live among one third of the Irish nation and i want peace and prosperity for all but to be honest visionaries who want to tell millions of people what changes would be good for them, even if they don’t really want them or that were maybe to stupid to realize what would be good for us frighten the life out of me. Millions of people are working away at making Ireland better and it is getting better all the time but sometimes i think there are unsettled begrudgers North and South out there who would change a lot of things that don’t need changed or if they do. It should be by letting things evolve where you can spot a mistake take stock and change direction. As for the Tír na n-óg rubbish i have sailed and lived and worked in the richest and poorest their is and never will be a Tír na n-óg. But we cannot deny that the free state has come on in leaps and bounds. Someday I hope we join them but i most certainly don’t want them to change all the good they have done as a precondition for joining or else lol the people in the free state are quite cute they may just let us carry on as we are until we get a little gratitude. I am not interested in your notion of me having a shallow knowledge of history i am interested in the here and now and are all the family doing well north and south and paying their mortgages and living prudently. I guess under you Eolach i mighten qualify or the vote i am that historicaly so illiterate. I personally think in the Free State the populace are by and large fairly happy all the ones i meet with an odd gripe who doesnt have one or two lol. Korhomme, I always admired the possibilities in Éire Nua….. a lot contained within it would have satisfied moderate Unionism…..ifs that’s not a double oxymoron, decentralisation and a parliament in Longford….. geographically, the centre of Ireland …..it could be revisited and tweeked for 21 st century consumption…..we need this serious debate initiated immediately, far more important than a border poll…. how to people vote for something vague and nondescript .When I’ve engaged my children and grandchildren, they enthuse with modern, even futuristic ideas, a new high-speed rail network encompassing all of Ireland, tourist focused, but nature friendly cable cars at our world famous beauty spots etc etc….it’s their future and we and with everyone’s input we can get it right. Countries have moved their capitals before; Russia and Turkey retreated to their heartlands after WW1. Brasil and Australia moved theirs, as did Nigeria and Myanmar; but that was political, a sense of a new awakening. Today, it’s clear that the Republic is a much more prosperous place than NI; there are only financial advantages in a (re)unification. Politically, not such an easy sell, even if GB would be quite happy to be rid of NI. But…the problem is the realisation that a ‘new’ country formed from (re)unification would be different from the two present polities. It’s so totally clear from business studies that where a large company takes over a smaller one, and pays no attention to the needs of the smaller, that such a ‘merger’ isn’t going to be a long term success. How to convince politicians north and south of the advantages to both of a merger is a very difficult problem, given their entrenched and totally blinkered thinking. So, while a new capital in say Longford is an attractive idea, it’s also one for the long finger. A new start, but yet far from the cosmopolitan mileau of Dublin; new capitals don’t work in the short term. A single capital, but yet one free of historical connotations; I have no answer to yet another ‘squaring the circle’ difficulty in Ireland. Work away Eolach but us millions of Irishmen and women will keep on working our day jobs. Ireland is a wonderful diverse country. We were welcomed all over the world because we worked hard and mixed and people loved us for it and St Patrick’s day lol./I personally want parliament to stay in Dublin I love Dublin and all the history and nooks and crannies and Cork and the Burren should we move it along with all its unique flora and fauna or whizz through it on a high speed rail. I love all them things they are not broken. Millions of people like me in Ireland and from all over the world who visit here love things the way they are and the way they are developing in the free state. My children and their husbands think that when the time comes if the free state wants us we will be delighted to fit in and vote. We would hope that they either have laws or will pass laws to do away with the worst of the bonfires and parades and taking over towns to parade round and round out of sheer contrariness just to show who is boss. And i can assure you (i have some experience here)the tourists don’t want a high speed rail network they love being able to of and visit out of the way places and the slow pace of life your rail network would whish them past so much history and small towns and nice people they could meet in guesthouses and B and Bs and leave the country without the wee personal touches they love and write about.. But i agree with you and your children and grandchildren we can all dream freely about the sort of Ireland we want. I started to write a comment on Joe’s article and it turned into a blog post. So this is a sorta re-blog!!! If Money is involved (Brexit), I think the farmers, the bible thumpers, the business men, plus all the Unionists in general will welcome a united Ireland. The only problem is, they don’t want us …..